ROHM’s USB Audio Decoder ICs integrate a USB 2.0 host, SD memory card controller, AAC decoder, WMA decoder, MP3 decoder, Audio DAC amp, and a system controller all on a single chip, allowing easy playback of music stored in USB flash memory using an audio player. They can be easily added to virtually any audio device (i.e. CD player, mini-component stereo, portable player, car stereo) for greater functionality. USB2.0 Full Speed host I/F function contained. ・ I2C format I/F function contained. ・ Program download function from external serial Flash ROM contained.USB2.0 Full Speed host I/F function contained. Rohm has developed a USB audio decoder IC which will provide audio playback of MP3 files from CD-ROM and USB memory using just a single chip. As USB and SD memory cards become the de facto storage medium for audio and multimedia files. 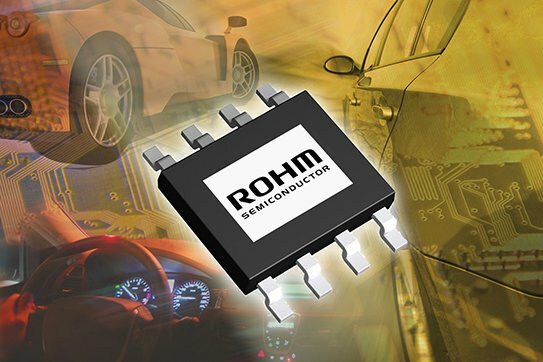 Rohm has a range of single-chip USB audio decoders for different file formats. The BU94702AKV has a USB/SD memory card host functionality, MP3/AAC/WMA decoder, FAT file system, and a music search function (file browser) that allows track selection during playback. Also, built-in LDO and DAC circuits are designed to simplify configuration of an audio system by supporting direct connection to power supply audio amp, and speakers. The device is availabel in a VQFP80 package.